Skinny jeans are a surrogate marker, Nick Gross was not who I expected, and the e-patients are even braver than I thought. Listening to the Club Med X play list (selections at bottom), I found myself reflecting on the things I learned, who I spoke with, and what inspired me at Stanford Medicine X. Scientist and wine aficionado Ian Eslick (@ieslick) was the first winner of my daily ‘Bringing the Science’ (BtS) award at Med X. He explained how his own condition of psoriasis informed and affected his approach in creating the first MIT-run authoring experiment. The purpose of the experiment is to study “how patients think about self-experimentation and figuring out how making changes impacts them” at PersonalExperiments.org. He also opened the door to the n-of-1 vs epi debate and the idea of future sampling. The next day CEO of Asthmapolis David Van Sickle (@dvansickle) claimed the coveted (albeit fictitious) BtS award with his fantastic marriage of humanizing the process of research with almost zealous inquisitiveness. He shared the origin of his obsession of “stalking asthma” from Navajo villages to Alaska and then to the CDC where the limitations of public health data and the role of technology were crystallized for him. 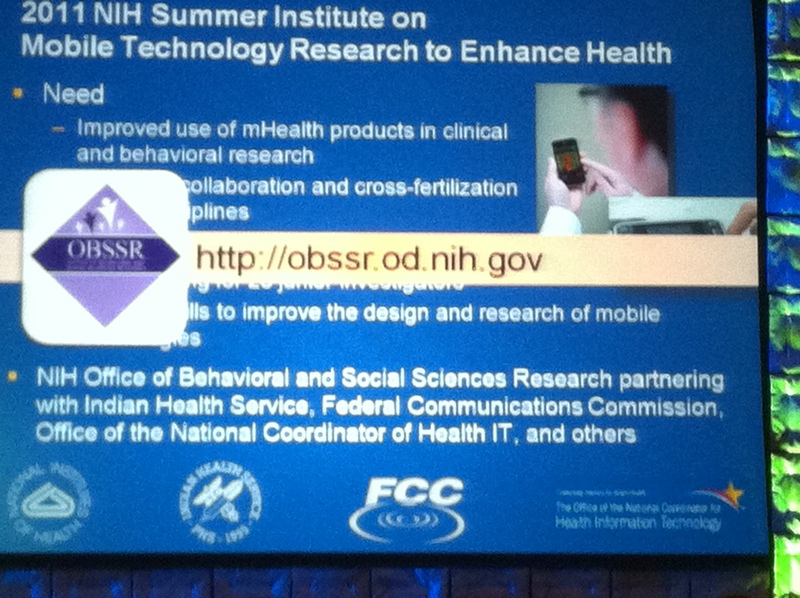 Van Sickle went on to describe his excitement about the role of mHealth in preventing diseases in populations. Acknowledging that I may have sipped the Kool-Aid when it moved into mHealth for prevention, you must watch his 15 minute talk. “The hardest cause to identify is the one that is universally distributed.” Indeed. Rhiju Das was the very next speaker discussing EteRNA, which necessitated creation of the ‘Bringing the Citizen Science’ faux-ward. His Das Group at Stanford in conjunction with Carnegie Mellon challenges citizen scientists and gamers to create RNA sequences that fold into target shapes via the interface they’ve developed. Interestingly, in part due to Das’ involvement as part of the team that created Foldit, EteRNA is seen as its successor by some. So, it turns out design isn’t just for architects and frogs anymore. I had some feel for the roles of human-computer interaction and behavioral health design from working with researchers and others like Tonic. However, I was blown away by the roles of design and UX ranging from the seemingly mundane (e.g., hospital equipment) to the ambitiousness of the IDEO Design Challenge Workshop to its potential in transforming children’s fears about nebulizer treatments into nurturing moments. Before the Med X Self-Tracking Day, I was peripherally aware that people like @FredTrotter were hacking away at things and tweeting their weight and that Ernesto Ramirez (@e_ramirez) was causing waves in something called Quantified Self. But I definitely did not realize how widespread self-tracking is until @SusannahFox debuted her new Pew data (re-defining it for much of the crowd), nor did I appreciate how creative (@nancyhd; Winner: Best smile-powered LED headdress) or dedicated (@bettslacroix) some of those involved are. This is an area worth exploring for future research and I’ll be curious to see what comes of some of the specific efforts such as MyMee. Just because it seems cliché to say that the best part about conferences are often the hallway conversations doesn’t make it any less true. In this case, the Medicine X First Look video archive of the entire conference goes a long way for those who couldn’t make it…but being surrounded by the attendees of this conference conferred an entirely separate set of benefits and opportunities. I had a series of eye-opening impromptu meetings and promising conversations. One was with Nate Gross (he of the minimalist Twitter handle @NG; co-founder of Rock Health and Doximity) at a group dinner. As I have zero feet in the business world and most of my business savvy comes from having watched the movie Wall Street in 1987, I was sort of resigned to sitting next to a brusque, bottom-line type. Instead, I found him to outwardly be a more contemplative sort who spent more time observing than speaking…or maybe he was just happy to be seated next to someone who didn’t have something to pitch. Most of my other notable conversations portended more specific possibilities. I found myself in one sitdown listening to opportunities described on the fly between AMIA Fellow and researcher Qing Zeng-Treitler, Medify’s Derek Streat, and Alliance Health’s David Goldsmith (@dsgold). Later I enjoyed an intial exploration with Sarah Kucharski (@AfternoonNapper) about extending the role of the patient in research design. That was a conversation I suspect will continue. Unsurprisingly, it was the people and their stories at Medicine X that I found most inspiring. 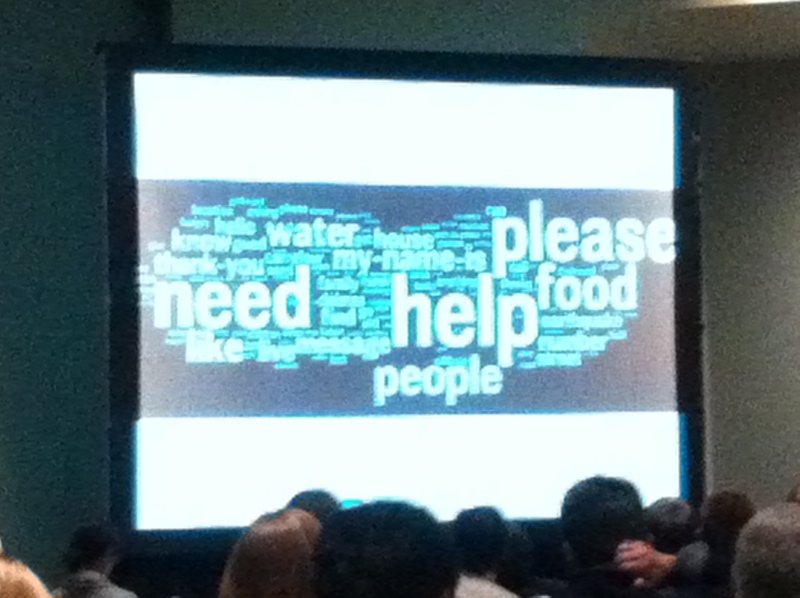 Many of the Ignite talks by the e-patient scholars were personal and touching, but I found two people particularly so. Sean Ahrens has taken his own story about Crohn’s and literally built a community for others suffering with the same struggles in Crohnology. It’s amazing to me that someone with a potentially debilitating condition refuses to cave to its daily demands and instead sources it to create a virtual bridge to connect and benefit others. The other person is @DanaMLewis. Personal bias aside (see panel slide deck), to have a person at her age & stage create another type of virtual community in #hcsm that has such far reaching effects that it even inspires Alicia (@stales) Staley (herself quite the wow-inducer) to create #bcsm is immensely encouraging to me. 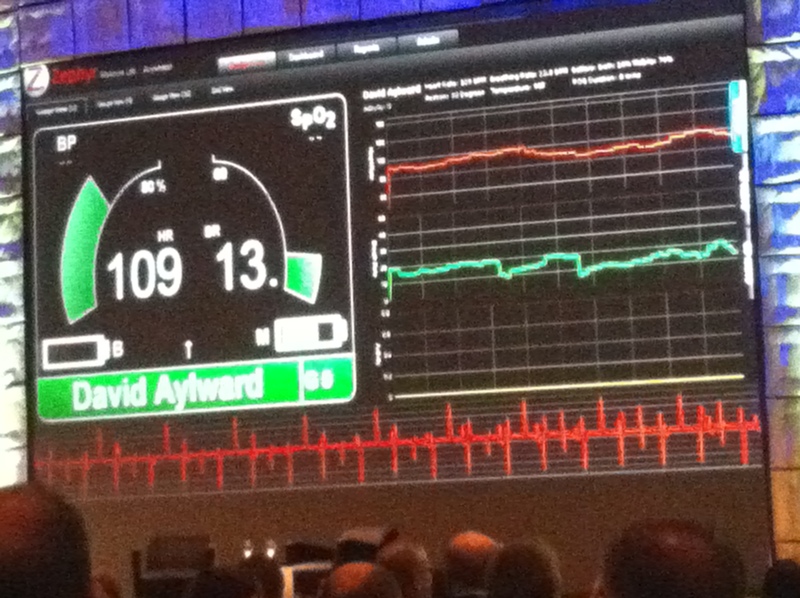 Watching David Rose of Vitality present at the mHealth Summit introduced me to the concept of the ‘enchanted object’. At Med X, I saw a more literal version of this implemented in the form of the Magic Mask. The Magic Mask used augmented reality tech and lessons from IDEO to transform what can be a frightening experience of nebulizer treatments to a parent-involved storybook time for these children with asthma. Trust me, you’ll want to read the full description of this work by @RoujaPakiman and @LucieRichter here. An e-patient, an entrepreneur, and an academician collaborate to conduct research. In our panel, @DanaMLewis, @BorisGlants, and I tried to share our lessons in adopting the participatory design model for research. Hopefully we were able to inform a bit about misteps and successes and provide a dash of inspiration so that more patients and researchers will partner to capitalize on the strengths of each other. I have been to a lot of conferences, and no one puts the level of thought and care into each detail of a conference like @LarryChu. This was a stellar experience that I look forward to next year! TC (Theft Citation i.e., where I stole this post title from): I read @SusannahFox’s post on Stanford Medicine X. As with many of her posts (and I think she would agree), some of the best value is in the comments. In this case, it was the contribution by David Goldsmith who pointed out that Med X is the rarest of birds in that it managed to both inform AND inspire. The Medicine 2.0 World Congress on Social Media and Web 2.0 in Health, Medicine, and Biomedical Sciences is one of the most valuable conferences I have ever attended. It has been the meeting in this arena with the clearest focus on actual research and evidence for Medicine 2.0 issues and also offers the best opportunity to connect with other researchers, clinicians, e-patients, business and policy people. In fact, the very first Medicine 2.0 Congress was where I was introduced to (and/or first met IRL) so many people who went on to become research collaborators, colleagues, and friends. In the spirit of that original meeting, I am excited for this year’s Medicine 2.0 at Stanford (September 16-18, 2011). I have always appreciated the fact that Medicine 2.0 has truly been an international gathering, but am happy to see that it is coming to the United States for the first time. I am also eager to see another first, the one-day Stanford Summit at Medicine 2.0, which will directly precede the Medicine 2.0 Congress. The Summit is lining up to have an incredible array of moderators and panelists. Given the quality of the attendees and the opportunities for discussion/dissemination of your research (and networking), if you are working in this field I would strongly urge you to respond to the Call for Abstracts, Presentations, Interactive Demos, Startup Pitches and Panel Proposals for Medicine 2.0 at Stanford. The deadline for submission is a (rapidly approaching) March 1st, 2011. You can click on the link for the Call or start the process by watching the overview below by this year’s Conference organizer, Dr. Larry Chu. Also, feel free to contact me with any questions and I look forward to seeing you there! Medicine 2.0 Call for Abstracts from Larry Chu on Vimeo. I saw a tweet by John @Poikonen that alerted me to the fact that a second article in as many weeks has been published on pharmacy and blogs. Two pharmacy students (Justin Elkins and Chilla Goncz) and I authored “Use of blogs by pharmacists“, which appears in the new issue of the American Journal of Health System Pharmacy. We identified all blogs that were pharmacist-authored, active (i.e. posts in the last 3 months), and written in English. 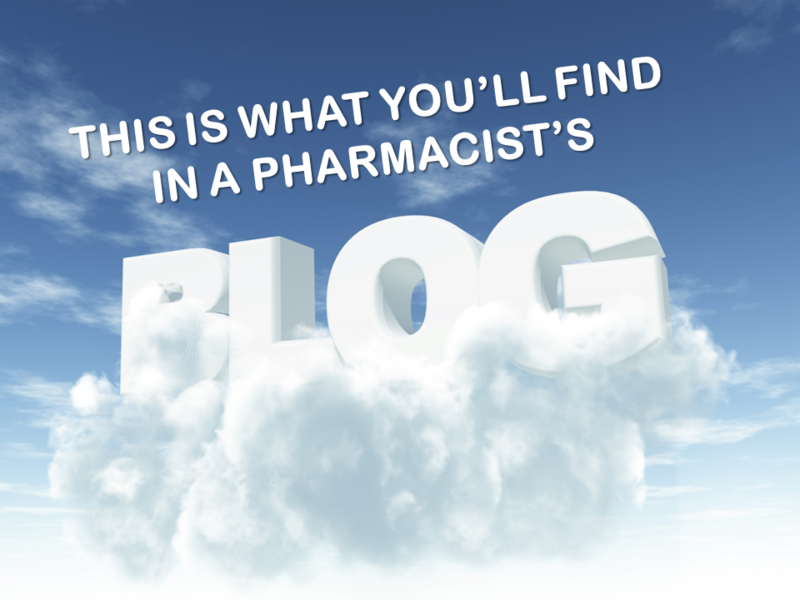 Blogs focused on pharmacy, but not written by a pharmacist were excluded. Forty-four blogs were identified that fit those criteria. We used the most recent 5 posts to assess the blogs based on six categories (e.g. practice based topics, identifying information, positive language, critical language, professionalism and miscellaneous). Most pharmacist blogs (68%) were written anonymously (versus 43% in Lagu’s study of physician and nurse blogs). Pharmacist bloggers were equally represented by community (43%) and non-community settings (43%); the practice settings of the remainder were indeterminable. These blogs most commonly used positive language to describe the profession (32%), other health care professionals (25%), and patients (25%). Critical language was more commonly observed in descriptions of patients (57%); almost half of all posts contained profane or explicit language (48%). Most of the blogs (71%) contained mentions of pharmacologic therapies and current healthcare events (66%). We also noted that 25% of these bloggers had a Twitter account (relative to 11% of the general population in the same timeframe per Pew). Out of the 11 pharmacist blogs that were ranked by Technorati, all but two were primarily of a ‘ranting’ nature (e.g. Angry Pharmacist, Angriest Pharmacist, Your Pharmacist May Hate You). Interestingly, the only two ranked, but non-ranting blogs were written by non-US pharmacists. Our full AJHP article lists all of the 44 blogs and while it is not open access, my hope is that via ASHP Connect and rapid response that this list of pharmacist blogs can be updated and curated using our article as a starting point. Recently I have seen another round of the cyclical deluge of posts, pointers, and tips telling people what Twitter is meant for and ‘instructing’ them how they should use it. Most of this advice is invariably wrong simply because there is no certain way that Twitter should be used. It is impossible. Even Twitter doesn’t know what it wants to be when it grows up yet. However, there are three perpectives about using Twitter that I believe have real merit. The ties that bind all three are that each touches on a range of uses for Twitter and the tones are personalized and/or contemplative, rather than authoritative. I have collected these three perspectives here as a resource for those trying to figure out if it makes sense for them to use Twitter or those trying to get a better idea of Twitter’s utility or lack thereof. The first two perspectives are particularly well-suited for healthcare professionals, researchers, academicians, and students. The third offers more of a James Joyce exploration of the potential of Twitter and is not for the faint of heart. I believe all three have value and hope you find the same. I love living in South Florida, but after this week DC may be my new mistress. I find the magnitude of what is going on here bordering on unbelievable. I’ve been here previously, but have never really had an opportunity to take a look around. I was also struck by the sheer volume of living history in DC. There are some pretty good restaurants as well from Matchbox (introduced to me by @lostonroute66) to Zaytinya. Having just returned from a health promotion conference in Puerto Rico, I was able to visit with several folks at the Pan American Health Organization (PAHO) to explore opportunities during this visit. Some I had met here previously and some were new to me. There was a common thread throughout the PAHO folks in that they are driven, but warm people…and it is always nice to see the face behind @eqpaho. I also learned a lot about the Organization of American States (OAS). I met with a couple people there as well to discuss some upcoming projects. 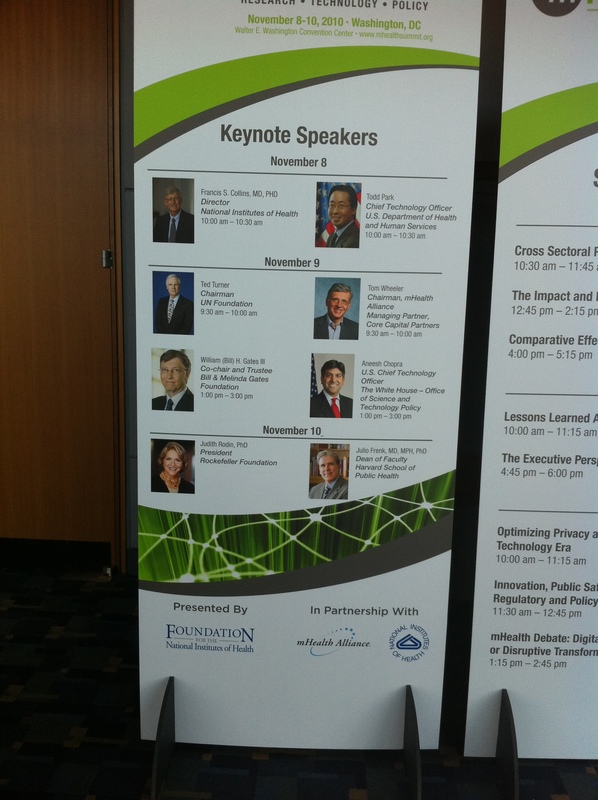 Finally, I had the opportunity to open the second day of presenters for the Federal Pharmacy Forum. The Forum directly precedes the American Pharmacists Association (APhA) Annual Meeting (thashtag #apha2010). The Forum was very much an eye-opening experience for me as the attendees were primarily military pharmacists and technicians with other representatives from the Federal sector as well. I presented “Debunking Myths About Generational Use of Social Media and Healthcare“. The keynote on the first day of the Forum (Ginny Beeson) did a great job of laying the groundwork for a dialogue about generational considerations in military pharmacy. There were also several other topics particularly of interest to me including telepharmacy in the Navy (apparently each branch has a different certification body making widespread rollout across branches almost impossible), pharmacoeconomic studies, medication therapy management (MTM), deployment of pharmacists and the current state of practice of US military pharmacy in Afghanistan. It definitely made me more thankful for the setting I operate out of and appreciate the challenges of this segment of the profession. Overall it was a great visit, I learned a lot (including how little I thought I knew), and am looking forward to my next visit. Last year I developed a course titled “Consumer Health Informatics & Web 2.0 in Healthcare”. It was an excellent learning experience for me and hopefully beneficial for the students as well. The course was offered last semester in our College of Osteopathic Medicine – Biomedical Informatics Program. I plan to offer a similar course next semester in our College of Pharmacy tailored for those students and capitalizing on the lessons learned from the previous version. While my course was a hybrid of consumer health informatics (CHI) and Web 2.0, the very first Web 2.0 and Medicine course was created by Bertalan Mesko, MD. Dr. Mesko (perhaps better known as @Berci) pioneered it when he was still a medical student. Berci was quite helpful in the early stages of the conception of my course and even went on to contribute a brief guest lecture on virtual worlds. Additional resources have since appeared in the literature detailing experiences teaching Web 2.0 in other disciplines. My course covered basic CHI terminology and subjects like health information seeking behaviors and the evolution of participatory medicine as well as related topics like open access and digital health literacy. Additionally, it touched on some ‘classic’ informatics tools and technologies like telemedicine, mHealth, and electronic/personal health records. The course also featured a second guest lecture by Joan Dzenowagis, PhD, who spoke about Internet safety, governance issues, and the dotHealth initiative. One of the main things I wanted to accomplish with the course was to have the students use the actual Web 2.0 tools and technologies that we discussed in practical ways. To that end, they completed a series of mini-projects including: editing health-related Wikipedia entries, creating Twitter accounts to follow thought leaders in their subspecialties, and creating RSS reader accounts to help manage their flow of information. Overall, the course was well-received and I was relatively happy with its maiden voyage. My plan now is to continue modifying, customizing, and retooling the course based on the needs of pharmacy students and the previous students’ feedback and then submitting to the College of Pharmacy curriculum committee in the coming months. In the interim, I welcome your comments and questions.